As the great wave of settlers was arriving in Nebraska, a town called "Nelson" was established near the center of Nuckolls County. Land owned by Horatio Nelson Wheeler was proclaimed the county seat and the owner's middle name, Nelson, was given to the territory. These early settlers, many of whom had lived in good style in the east, had moved to this treeless prairie, where coyotes serenaded them at night and water was hauled from a community spring. The Nuckolls County Courthouse, built in 1890, now stands as a landmark. Nelson has a swimming pool, a nine-hole sand-green golf course, a 45-bed skilled care Good Samaritan nursing home, and a new junior-senior school, which now serves Nelson and Nora students. 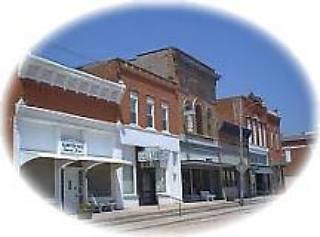 It takes a lot of enthusiasm and volunteer effort to make a small town a good place to live. The citizens of Nelson need not take a back seat to our pioneers in their determination and faith in the future. The Elk Creek Country Club has a 9-hole, grass green golf course with very reasonable rates open to the public. Municipal water, Electric, Sewer, Dump, Grills, Drinking water, Swimming.